When we get up in the morning and switch on the light, we have a shower and cook our breakfast (all powered by electricity). We get dressed for work (in clothes made of cotton or wool or synthetic fibers and manufactured by mass production techniques). Then we take the bus or train to work (mass transit systems moving allow rails or asphalt roads). Once at work we make phone call (using a telephone) and work with labor-saving devices powered by electricity (manufacturing machinery, automated production lines, forklifts, computers, and much more). After work we drive a car (automobiles first invented in the 19th century) to the club or the movies. We live in a world with all these things that we often just take for granted. These are all parts of everyday life that we have inherited from the historical period called the Industrial Revolution. Just a few generations ago, before the Industrial Revolution, our forebears lived very differently. Most of our great-great-great grandparents lived in the the countryside, not in a city or town. Most of them performed back-breaking agricultural work from dawn to dusk and for at least six days a week. 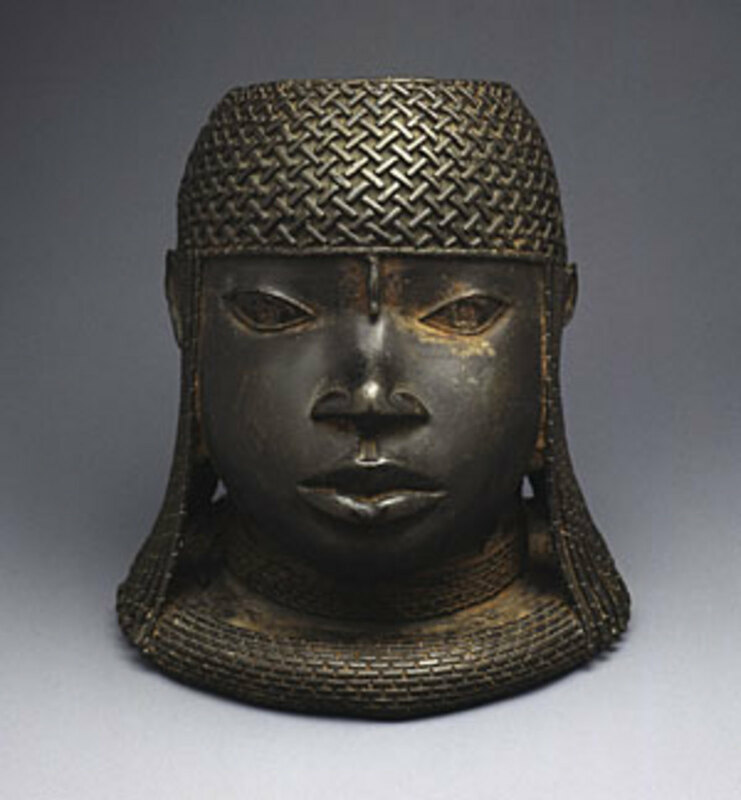 Few of our ancestors ever left their village or their rural world. Life was hard and often short. Children formed part of the work force. If you got sick, you likely could not afford to see a doctor and would probably die at a much younger age (in that world where medicine was less advanced). Families were large but many children died in their infancy or very early years. — Friedrich Engels, Condition of the Working Class in England (1845), "Introduction"
So What Was the Industrial Revolution? The industrial revolution was a period in Britain from mid-1700s to the mid-1800s in which power-driven machines in factories replaced manual labor. 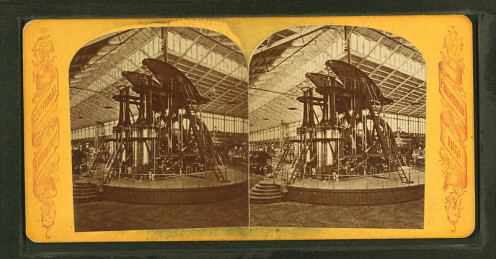 The industrial revolution resulted from advances in applied science and engineering, such as the development of steam engines (especially those of the inventor James Watt). Much of the laboring population, previously largely employed in agriculture, moved to the industrial towns and cities, where they were housed and employed in often miserable and squalid conditions. 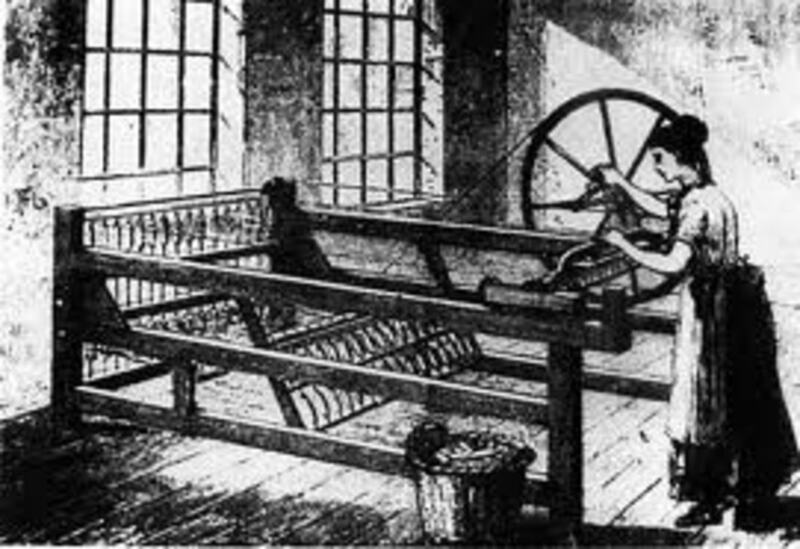 James Hargreaves's spinning jenny (1770) and Edmund Cartwright's power loom (1783) fostered the textiles industry (a key industry of the Industrial Revolution). Coal and steel were used in ever more efficient steam engines. 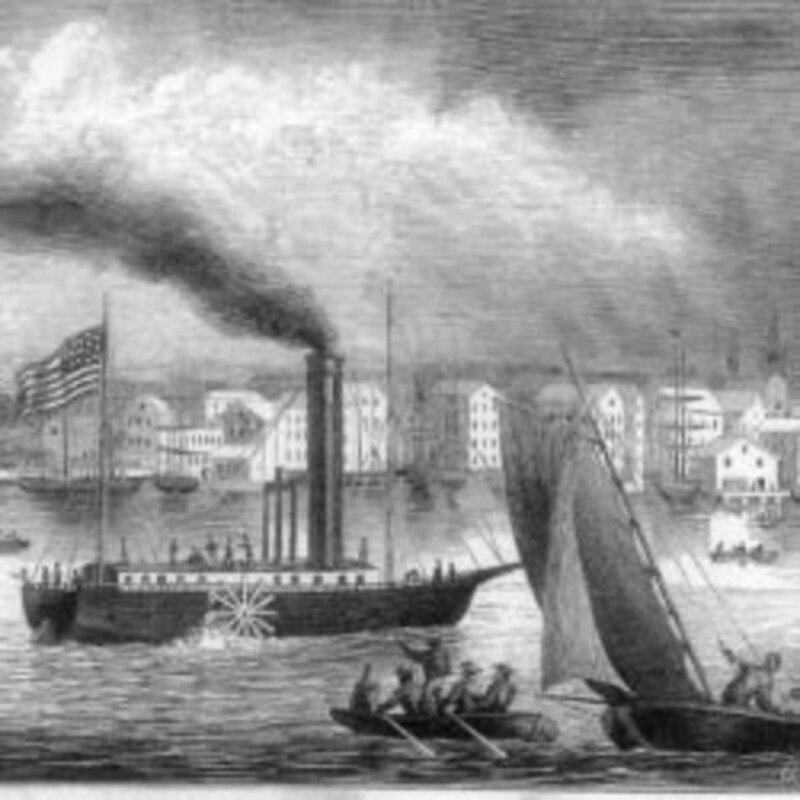 Vastly improved transport -- canals, roads, railroads, steamships -- allowed quick importation of raw materials and export of finished goods to markets all over the world. The Industrial Revolution came to other countries (France, Germany, United States, Japan) a little later than to Britain. The poor conditions of workers led to the rise of socialism and Marxism. Later the free-for-all (laissez faire) capitalism was replaced in Britain and elsewhere by the welfare state. 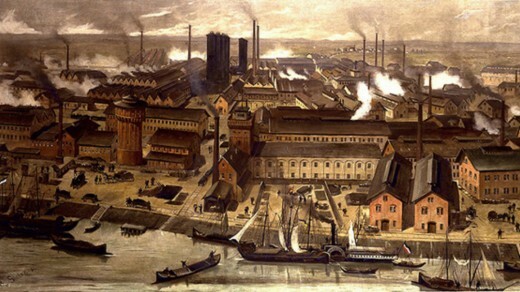 The Industrial Revolution saw large population increases, the rise of the professions, and, later, improvements to the living standards (due to the cheaper costs of machine-made goods). In the 18th century cotton was being grown in India and America. Demand was exploding for cotton products but the cotton industry was very labor-intensive (in America the labor was mostly provided by slaves). The first great mechanical invention in cotton manufacture was the fly shuttle, which allowed cotton threads to be woven into cloth more speedily. The next important mechanical invention was the spinning jenny (invented by James Hargreaves) which allowed up to sixteen threads to be spun into cloth simultaneously. This replaced a much slower process using spinning wheels and manual labor. 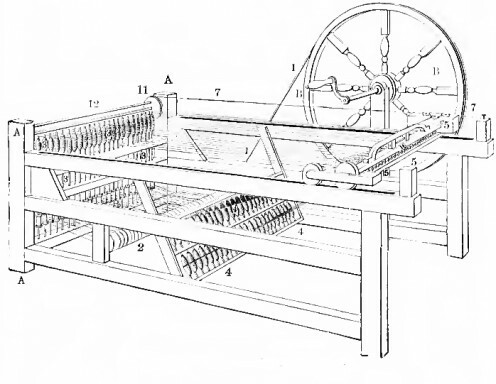 Then in 1791 the cotton gin (invented by Eli Whitney) permitted the mechanized separating of seeds from cotton fibers. All of these inventions allowed for faster processing and simultaneous processing -- all done by one cheap machine. One machine would replace the labor of several workers. And the product -- cotton cloth -- was cheaper and more durable than woollen cloth, so it became very popular. Several decades before the innovations in the cotton textile industry, another invention had changed the world dramatically: the steam engine. Steam engines were to run the machines in factories and power railway locomotives. Mines which produced metals (such as iron) were plagued with flooding by water the deeper that the mines were dug. In 1712 Thomas Newcomen invented a simple steam engine that would be used to pump water from the mines. It was designed to burn coal (a much cheaper fuel than wood). 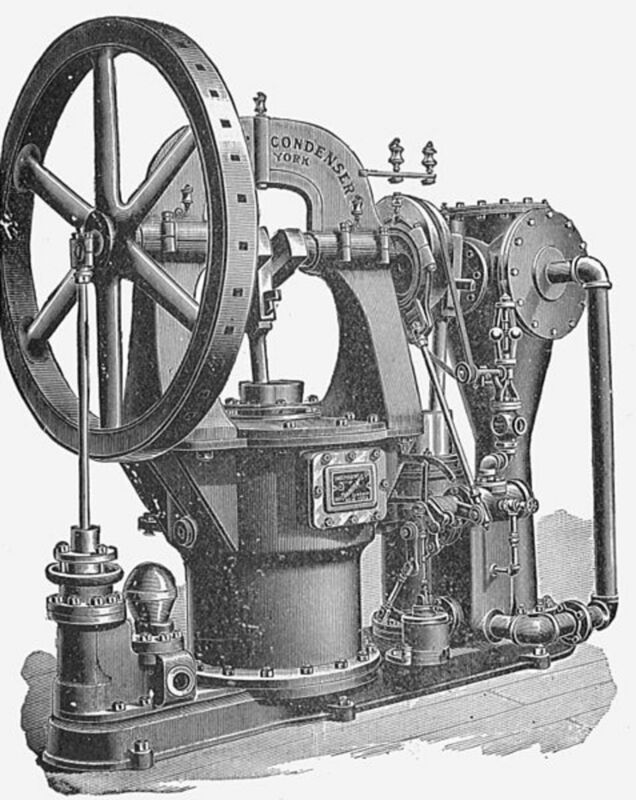 Newcomen's steam engine was a single piston engine and thus was very energy-inefficient. It could only be used for pumping water from mines. In 1769 James Watt invented a steam engine with a separate cooling chamber. This machine would be used in factories, replacing earlier energy sources such as watermills. It would also be used in locomotives pulling two new and more efficient kinds of transport: steam trains and stream boats. 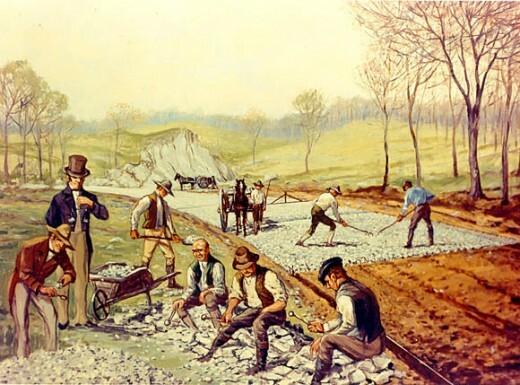 Before the Industrial Revolution raw materials had to be moved to factories and finished products had to be moved from factories using slow and expensive means of transport moving along poorly built and maintained roads. 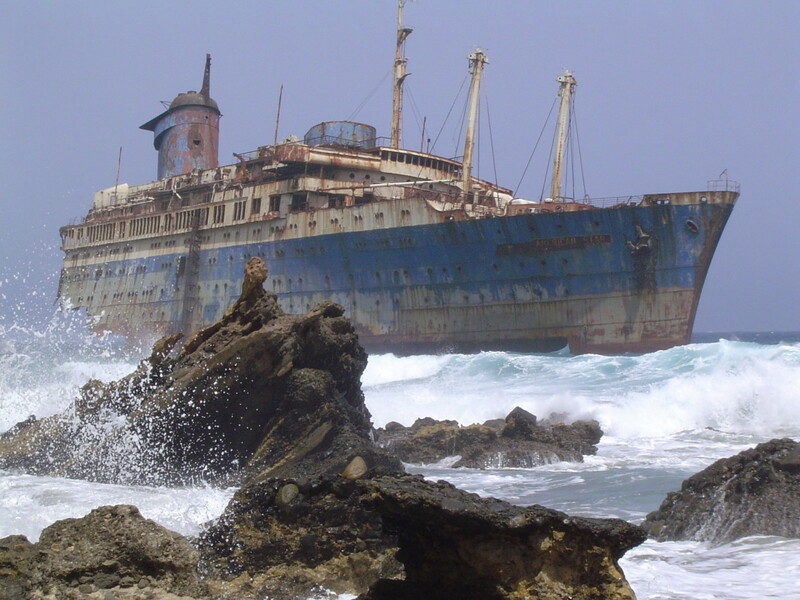 steamships were introduced (e.g. on major American rivers, such as the Mississippi). 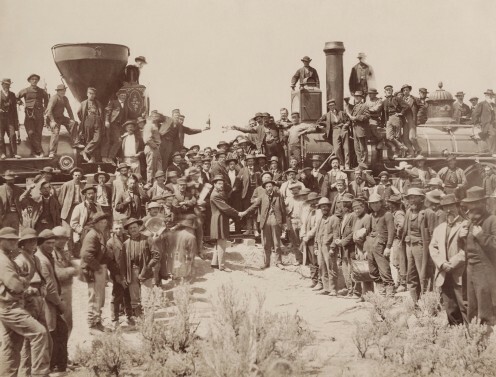 The improvements to roads and railways allowed for the cheaper transportation of raw materials and goods and they also permitted workers to get to their factories or other jobs more rapidly. — Charles Dickens, Hard Times (1854), Chapter IV, "Men and Brothers"
In the early days of the Industrial Revolution the technological changes were viewed by ordinary workers with great fear and trepidation. Large numbers of people lost their work in the countryside. Many were forced to live in the towns and cities. Their accommodation there was mostly cramped and unhealthy. Jobs, when they could be obtained, were often dangerous and hours were long. Child labor was rampant. Charles Dickens used to protest in his novels, such as Great Expectations, Hard Times, Oliver Twist and Bleak House, against the grim lot of workers in this period. Similarly, the philosopher Friedrich Engels wrote a book, The Condition of the Working Class in England, based on his personal observations in Manchester in 1842–44, in which he demonstrated that in large industrial cities mortality from communicable diseases such as smallpox, measles and whooping cough and death from convulsions was much higher than in the surrounding rural areas. As a result there was a lot of unrest among the workers. Machines such as spinning jennies were smashed and factories were burned to the ground by groups such as the Luddites. The situation was exacerbated by the laissez-faire (free-for-all) form of capitalism which reigned in the 19th century -- in which capital and capitalists ruled the roost and demonstrations for workers' rights were met with repression from the police and (often) the military. In the late 19th and early 20th centuries, countries where the Industrial Revolution was operating (United Kingdom, United States, France, Germany, etc.) saw some improvements to living standards due to the efforts of trades unions and to the cheaper cost of machine-made goods. The Industrial Revolution arrived in other countries in later decades. In many Third World countries workers still work in factory jobs with badly paid and dangerous working conditions that remind one of the bad old days that Charles Dickens used to describe in his novels. 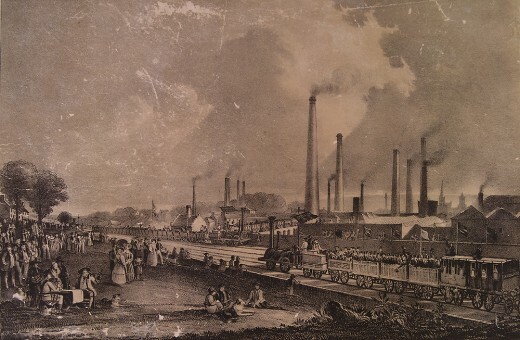 Some historians argue that the Industrial Revolution continued in the second half of the 19th century with Sir Henry Bessemer's invention of a way of manufacturing steel from molten pig iron (the Bessemer Process), with the discovery of new chemical processes, and the development of new ways of using petrol and coal. Many of these discoveries were made in the United States and Germany. In 1886 the gasoline-powered automobile was invented by Daimler Benz which revolutionized commercial transport and ultimately ushered in the private motor car which is such a feature of the 20th and 21st centuries. Large corporations came into being in the fields of shipping, railways, steel, electricity, oil and chemicals. The Industrial Revolution: the key people, places, documents, and events important to the Industrial Revolution . The most far-reaching, influential transformation of human culture since the advent of agriculture eight or ten thousand years ago, was the industrial revolution of eighteenth century Europe. This pocket book looks at the Industrial Revolution in Great Britain, how it spread from country to country and the "winners" and "losers" in the development. I read the book in about 90 minutes and it was well written and very readable. 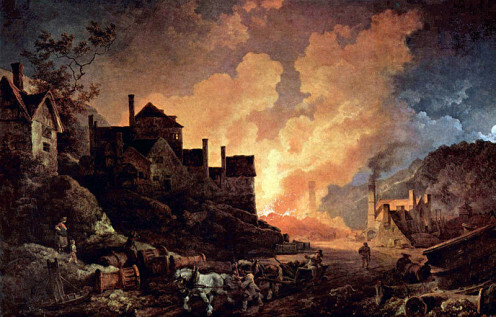 Was the Industrial Revolution a good thing or a bad thing? Thanks, aesta1. I am certainly no fan of feudalism. The Industrial Revolution certainly brought benefits. However, it is important to remember it had many negative effects too, and that those were not just back in the 18th and 19th centuries but also in more recent times. By way of example, Rachel Carson's book Silent Spring (1962) could be seen as an analysis of the deleterious effects of the Industrial Revolution in the 20th century. The Industrial Revolution definitely had its share of ill effects but it definitely brought mankind to another stage of development. Can you imagine remaining in the feudal state? I still can because in many countries, the feudal culture is still entrenched. Enjoyed your hub. Yes of course and how the technology is used. @silvershark I suppose it depends on how many benefits and how much harm new technology brings for people, doesn't it? With new technology comes good and bad.